Back to category: City Walker Umbrellas. 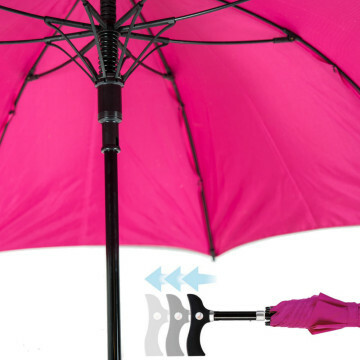 As the name suggests, the Umbrellas & Parasols Adjustable Walker Umbrella allows you to adjust the height of this umbrella’s handle so that it can double up as a walking stick. Ideal for outside events and activities, this clever umbrella acts as a support when the user is walking or even if they are standing still for long periods. 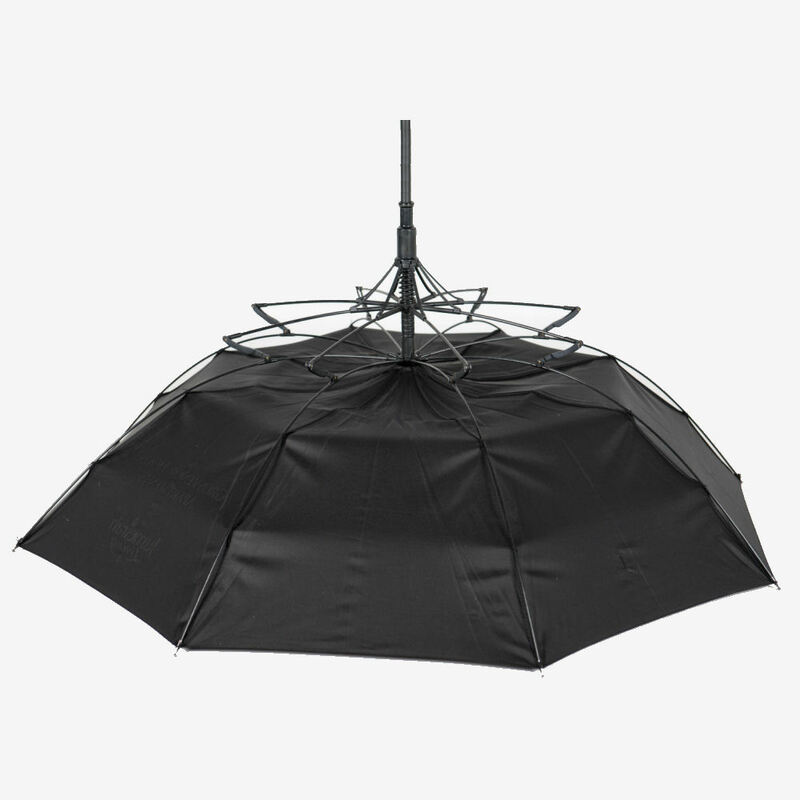 This unisex automatic umbrella comes with the option to upgrade to super strong fibreglass ribs, making it ideal for sporting events. The Umbrellas & Parasols Adjustable Walker Umbrella is adjustable so it can be raised or lowered to suit people of all heights. It also comprises of an ergonomically shaped hand grip shaped handle so it can support the user when walking or standing. Here at Umbrellas & Parasols we specialise in customising printed umbrellas and parasols specifically to our client’s requirements. 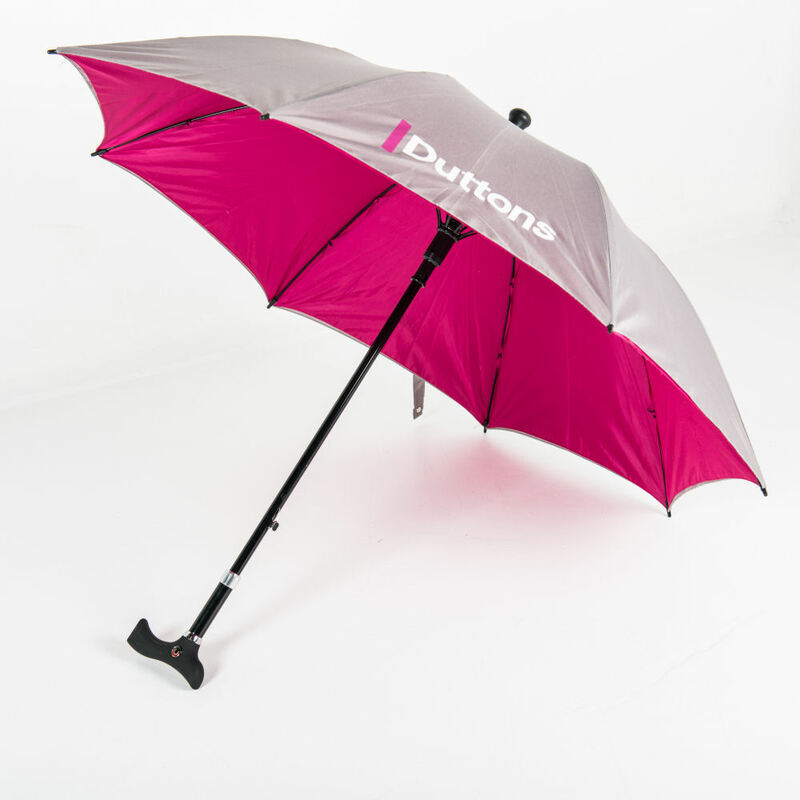 This means we have a full and extensive range of promotional umbrella branding options, so you end up with an umbrella that is completely attuned to your needs. 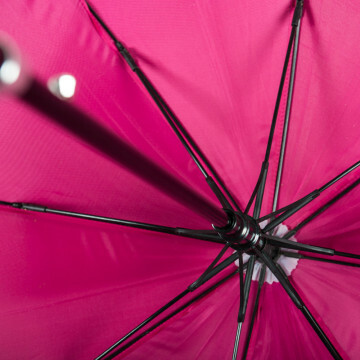 We custom-make all of our printed umbrellas which allows us to easily – and cheaply – add different finishes, umbrella components or printing options to your personalised umbrella. As part of our service we are on hand to advise and guide you so if the number of options are a bit overwhelming just give us a call. We would be happy to offer some friendly guidance on what would work best for your brand as well as within your budget because it is important to us for you to get your branding effectively communicated. Why not take a browse and see what finishes and branding techniques you could adopt to therefore make your printed umbrellas truly stand out from the crowd.